Pope Paul VI by the Bull “Romani Potifices” dated May 17, 1973 decreed the erection of the Diocese of Palayamkottai. Bp Savarinathan Iruthayaraj was nominated the First Bishop of the Diocese of Palayamkottai. 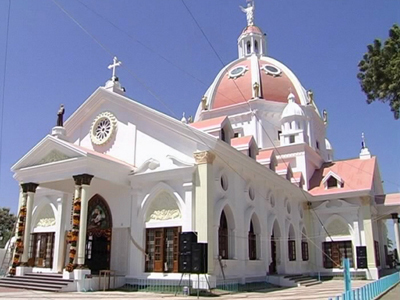 This diocese was formed from a part of the Archdiocese of Madurai. It comprises the civil Taluks of Tirunelvely, Palayamkottai, Ambasamudram, Tenkasi, Shenkottai, Sankarankoil, Sivagiri, Kovilpatty and a portion of Ottapidaram taluk with a small area from Srivaikuntram taluk. The territory of the Diocese of Palyamkottai comprises a part of the civil district of Tirunelvely, and a portion of the civil district of Tuticorin.